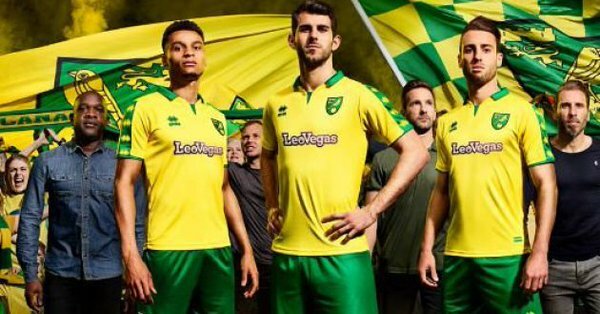 Norwich have released their Home Kit for the 2017-18 season. Leo Vegas are the shirt sponsors for this kit. It was made by Errea.